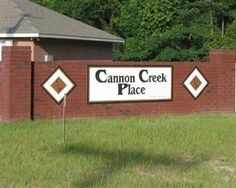 Cannon Creek Subdivision is a neighborhood located two miles away outside Lake City, Fl. It’s just off of Gernald Conner and Kicklighter. The Cannon Creek Airpark neighborhood can be found one mile from Cannon Creek Subdivision. If considering a purchase in Cannon Creek Place Subdivision, expect to pay between $100,000 and $190,000 dollars for a property between .49 and .52 acres.